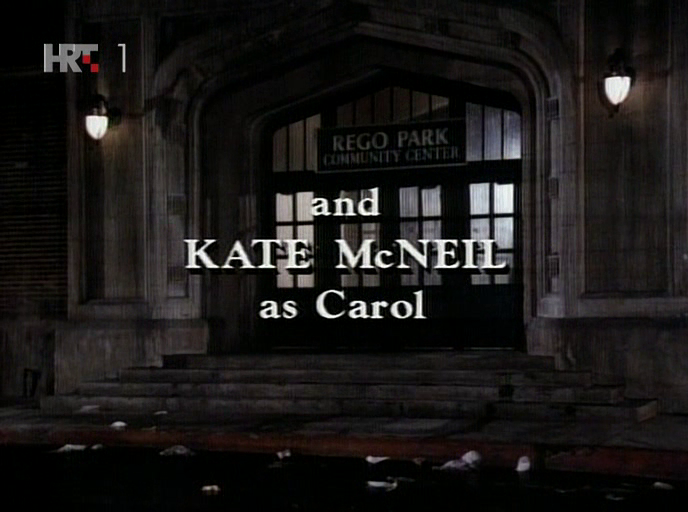 Kate McNeil did not have a very busy 1991. In the early months of that year, the final episodes of her short-lived show WIOU aired before the show was unceremoniously cancelled. she didn't really do much else on film or TV that year except for a guest role on the NBC sitcom Dear John. 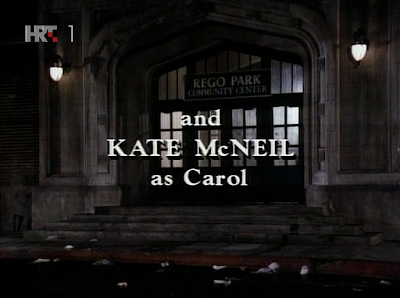 In the episode "Kirk's Wife" Kate McNeil appears as...Kirk's wife. Actor Jere Burns plays Kirk, one of the central characters on the show, and Kate McNeil plays Carol, his ex-wife. Carol discovered after they were married that she was a lesbian and she left Kirk for a woman (a sore spot for the macho Kirk). For her guest appearance on Dear John, Kate McNeil had only two scenes, one at the beginning of the episode and another at the very end. She does very well with her limited screen time, looking fabulous and handling her material with ease. Overall, this was a very humorous episode and also one with an excellent message of tolerance as Kirk comes to terms with his gay ex-wife.